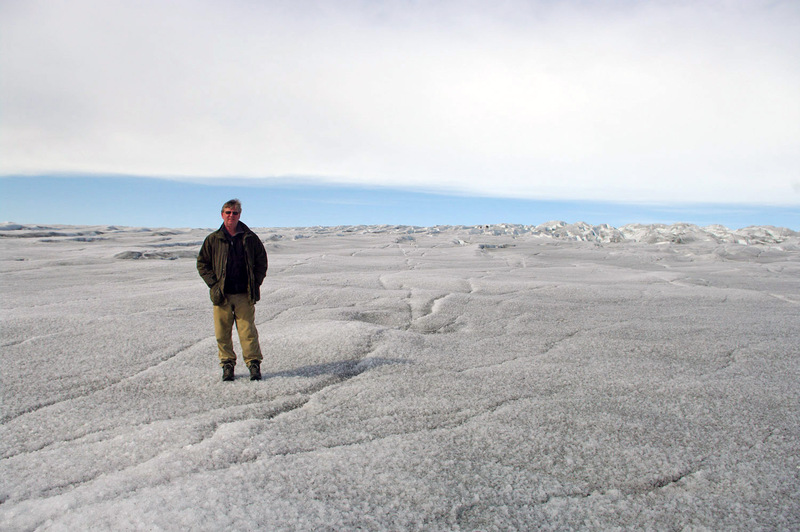 This is me standing on the Greenland ice sheet in August 2009. It was a calm bright and occasionally sunny day with the temperature around +5C, the surface of the ice was pitted as rock particles and dust melt through faster than the surrounding ice so giving a non-slippery surface with good traction despite it being hard ice. Note the hair wind-sock showing the direction from left to right.